“The campaign for the European elections can not justify the lack of respect for every people or their democracy,” the ministry added, most likely in reference to a recent meeting between Five Star Movement (M5S) leader Luigi Di Maio and members of the Gilets Jaunes (Yellow Vests) movement who have been protesting against Macron for the past 12 weeks. “All these acts create a serious situation that calls into question the intentions of the Italian government towards its relationship with France. France invites Italy to act to restore the relationship of friendship and mutual respect, in line with our history and our common destiny,” the ministry added. 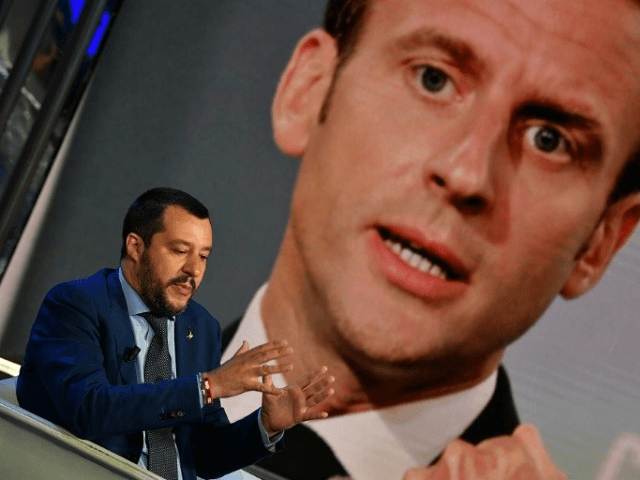 Tensions between Italy and France have been simmering for months with populist Interior Minister Matteo Salvini slamming the French government after it was revealed that French police had picked up migrants in France and drove over the border to drop them off in Italy. Adding to the tensions this week, Salvini once again slammed the French for their actions on the border as French police have been reported to have crossed into Italy to board trains heading for France in order to reject any illegal migrants from entering the country.